Thank you for your interest in becoming a volunteer for EarnIt! Keep It! $ave It! Just a reminder, this program is a 4 to 5 month commitment. Training is held in December through January followed by volunteering from late January through April. 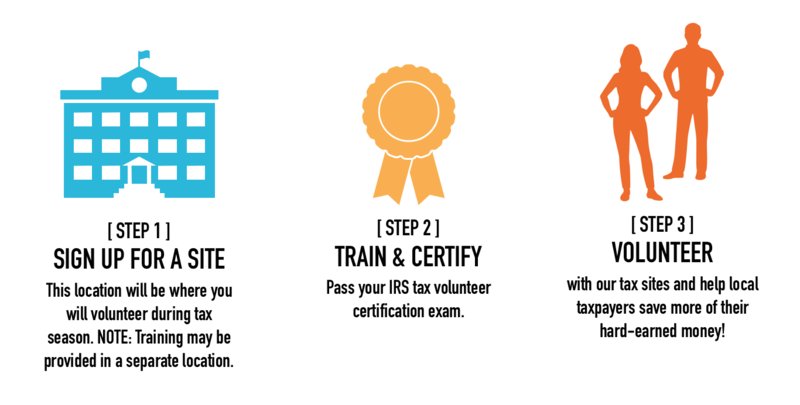 Participants must first pass the IRS’ Tax Volunteer Certification Exam, which is released in mid-November and available throughout the training season. We make it easy to find your site! Click to view by county, search all listings, or scroll down to view by map.